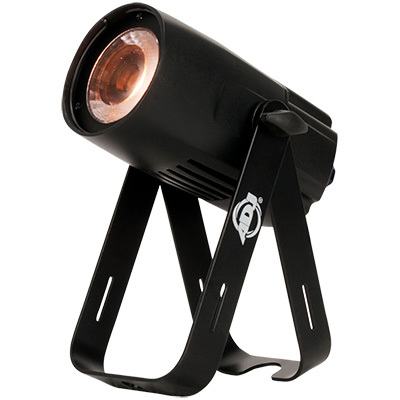 The Focus Spot Two is powered by an efficient 75-Watt cool white LED light-source, with an operational life of approximately 50,000 hours. 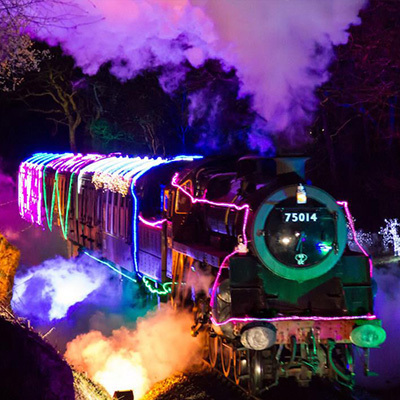 The light output from the LED is concentrated through an advanced optical system to create an impressive beam that is capable of cutting through ambient light to generate striking mid-air effects and impactful surface projections. As an added bonus, the Focus Spot Two is also equipped with a separate 3W UV LED. 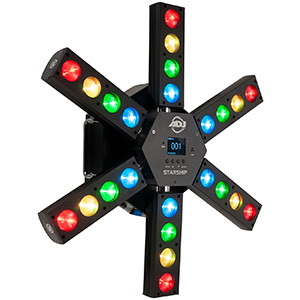 This is independently controllable and means that the fixture can also be used to bath a stage or venue with atmosphere-enhancing ultraviolet light. 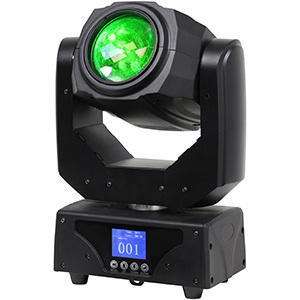 The fact that the fixture offers this UV effect – which causes white and fluorescent clothing and décor to glow impressively – is just one of many features of the Focus Spot Two that set it apart from any other moving head in its class. Motorised focus is another advanced feature offered by the Focus Spot Two – and all of the other fixtures in the Focus Series. This means that the focus of a projected GOBO can be altered electronically, controlled via DMX, to ensure that the pattern always appears sharply in focus even as the projection distance alters when the head moves from one position to another. 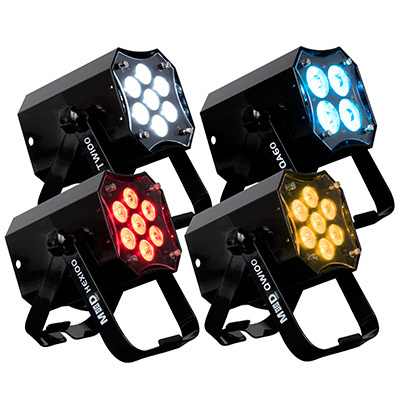 The intensity of the fixture’s beam can also be altered, thanks to 0-100% digital dimming, while added impact can be achieved using the variable speed strobe function. 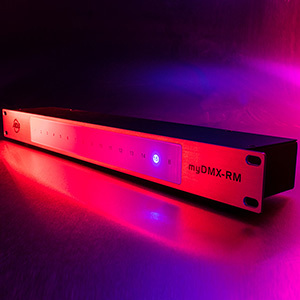 The fixture’s beam angle is also variable between 15 and 20 degrees, which means that it can be tailored for a specific size of venue or type of show. Changing the projection angle – zooming – is easy to do and is carried out manually using the convenient recessed wheel located on the top of the unit. Separate colour and GOBO wheels allow for the Focus Spot Two’s beam to be shaped and coloured in a plethora of different ways. 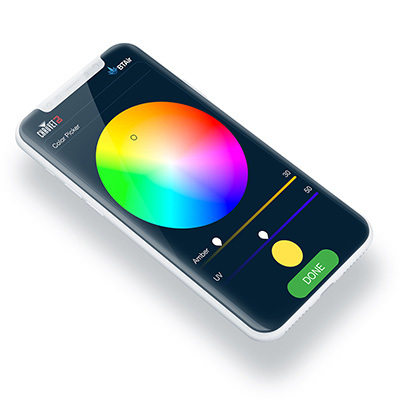 The colour wheel features eight vibrant options – in addition to open white – and can also be set between adjacent positions to create impressive split-colour effects. 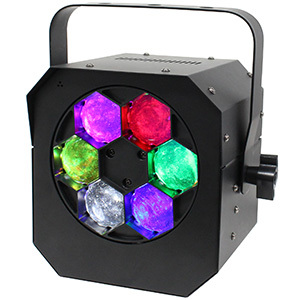 The GOBO wheel features six rotatable GOBOs – in addition to an open spot – including one coloured glass pattern. The remaining GOBOs are metal, and feature a good variety of detailed patterns, some ideal for creating mid-air effects and others more suited to projecting texture onto venue walls and ceilings. While the supplied GOBOs are suitable for a variety of applications, each one can also be replaced with a custom pattern. What’s more, thanks to ADJ’s innovative EZ GOBO replacement feature, changing a GOBO only takes a matter of moments. Only a single screw needs to be removed to swing open the hinged case and access the wheel, which allows GOBOs to easily clip in and out. This means that changing patterns between events is a very quick and easy task. 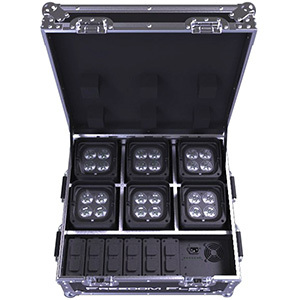 Another advanced feature offered by the Focus Spot Two, which has previously only been seen on larger and more expensive fixtures, is indexed GOBO rotation. Not only can GOBO patterns be set to rotate continuously – at variable speed in either direction – but precise static rotational positions can be recalled via DMX. This means that, for example, text GOBOs can be programmed to always display the right way up, regardless of the projection angle. Thanks to its powerful light-source and rotating GOBOs, the Focus Spot Two is ideal for creating impressive mid-air effects and eye-catching surface projections. These can be further enhanced by the application of the unit’s in-built 6-fact prism, which splits the projected pattern into six separate identical patterns arranged in a circular formation. 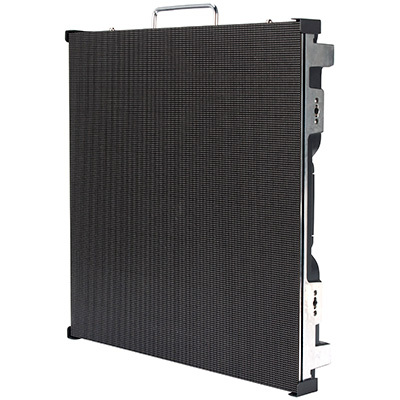 This creates impactful projections, and also increases the spread of the projection, making it perfect for adding interest to large plain surfaces within a venue. With dimensions of 173mm x 237mm x 385mm (LxWxH), and a total weight of just 7.3kgs, the Focus Spot Two is incredibly compact and portable, especially considering its expansive feature set. It also offers flexible mounting options, provided with rubber feet for floor-standing and a detachable Omega bracket to allow rigging from truss, a T-bar or a goalpost stand. 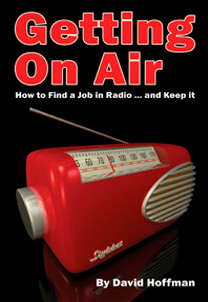 The Focus Spot Two is available now from ADJ dealers. Look out for a detailed review of both the Focus Spot Two and the Focus Spot One fixtures in the new issue of Pro Mobile (81 January/February 2017).